TSNPDCL JLM Answer Key 2018: Telangana State Northern Power Distribution Company Limited (TSNPDCL) has successfully completed conducting the screening test for Junior Lineman posts on 8th April. This examination has been conducted in many examination centers across the Telangana state. A huge number of applicants who have already applied for the announced posts have given the Telangana JLM written test in allotted examination centers. As per reports, more than 50 thousand aspirants have competed for the TS Jr. Lineman posts. All the hopefuls have attempted the examination. All the aspirants who are keen to check the TSNPDCL answer key can shortly download it from the official website, tsnpdcl.cgg.gov.in. Candidates can download TSNPDCL Answer sheet/question paper solutions for all sets A, B, C, D. After downloading the answer sheet, compare your answers with the corresponding set to calculate the score. Aspirants can go through the following article for more details about TSNPDCL JLM Question Paper solutions. 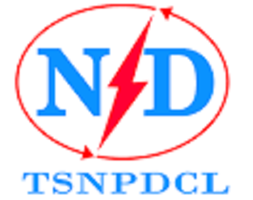 Telangana State Northern Power Distribution Company Limited (TSNPDCL) is the state level power transmission department. The organization works for the enhancement of Power related operations in the state. It annually issues various recruitment notifications for the aspirants seeking state government jobs. This year the TSNPDCL has released the notification for 2553 Junior Lineman posts. Many of the aspirants seeking Telangana state government jobs have applied for the announced posts. The TSNPDCL selects the candidates on the basis of their merit in written test and interview rounds. The written test round has been organized on 8th April across the state. Candidates seeking to download TS JLM answer key can download the answer key within 3-4 days after the examination. The official answer key will be uploaded by the authority on its official website, tsnpdcl.cgg.gov.in. Candidates can keep checking the official website to download the answer key link. All the candidates who have appeared for the JLM written test on 8th April can Download TSNPDCL JLM Answer sheet 2018 PDF from the official portal, Tnspdcl.cgg.gov.in. The answer key is expected to release within 3-4 days after the examination (tentatively). After downloading the answer key, they can calculate the score by comparing the answers with the corresponding set such as A, B, C, D. By estimating the score, candidates can know theirs withstand for the next rounds of selection process. Answer Key is used to give the brief analysis of the attempt made by the aspirants. The written test comprising of 80 marks consisting of 80 multiple choice questions and each question carries 1 mark. The section A consisting of 65 questions on core I.T.I subject and the section B consisting of 15 questions on General Awareness and Numerical Ability. The duration of the written examination will be of 2 hours. Note : Candidates to submit the Key objections if any to jshrd@tsnpdcl.in on or before 13-04-2018 by 05.00 P.M.
cgg.gov.in – Is the official portal of TSNPDCL. Have a look at the page. TSNPDCL JLM Answer key 2018 Link appears in this section. Click on the link. The TSNPDCL is going to release the JLM result, cutoff marks, and merit list within 3-4 weeks from now. Candidates have to acquire minimum cutoff marks as specified by the TSNPDCL to shortlist for the next round, personal interview. The TSNPDCL is going to release the list of qualified aspirant’s names in TSNPDCL JLM merit list 2018. Aspirants can keep checking through the TSNPDCL Official website, Tnspdcl.cgg.gov.in to download the result, cutoff marks, and merit list.